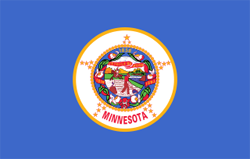 There are 140 public schools and 26 private schools listed on our site for Minneapolis. There are 2,875 full-time teachers educating a total of 44,441 students. 27,861 students receive a free lunch while 2,459 receive a reduced-price lunch. Fraser Academy Friendship Acdmy Of Fine Arts Chtr. Loring Nicollet High Loveworks Academy For Arts Lucy Laney @ Cleveland Park Elem. Tatanka Academy Transition Plus Services Twin Cities International Elem Sch.